​"5 Financial Moves DREAMers Should Make Now"
Assistance in finding and providing physical, clinical, and mental health services primarily to new immigrant and refugee populations in Saint Louis. A grassroots organization created by and for the Latino immigrants and families serving in areas of social and economic justice. A website created by the We Belong Together campaign in an effort to explain immigrant rights and fight for women's equality. The website offers help to better understand the different legal approaches/tools to immigration assistance. The most accurate internet database of county government offices in the United States. Use our site to locate your county assessor, board of elections, chamber of commerce, child support offices, colleges, coroner, courts, and much more, with all relevant details. 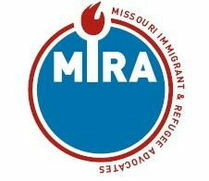 ​Offers a variety of services to immigrant and refugee population in St. Louis including education, social work, counseling, resettlement and financial literacy. A coalition of organizations that advocates for the basic rights of all immigrants on the local, state and federal level. 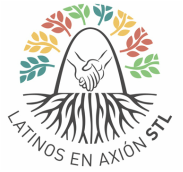 A comprehensive list of resources in St. Louis including transportation, child care, food pantries, and immigrant specific needs. ​Resources for St. Charles, Jefferson, Franklin and Lincoln counties as well. A non-profit organization dedicated to empowering immigrants through advocacy and provision of support and services. Programs include youth empowerment, health and economic development.